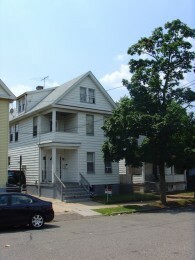 At the end of our sophomore year at Rutgers University, seven of us moved into an off-campus house. We shared five dilapidated bedrooms, but we had a yard and a washer and dryer, and so we felt like kings. On the weekend we moved in, we mopped the kitchen floor. “Why did you pull up the carpet?” one of my roommates asked. 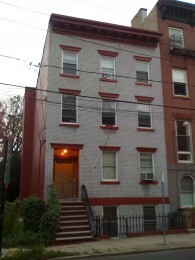 That first summer living there, PSE&G turned off the electric and gas for non-payment. The previous tenants hadn’t paid anything in months, and we never bothered opening a bill. 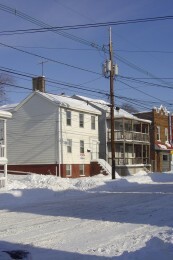 The electric was turned off on Friday, and PSE&G insisted there was no way to turn it back on until Monday. We lied, telling them we had a child under two living in the house. They restored the electricity within an hour. When the landlord sold the building, he insisted we clean the garbage accumulating in the alley. As we shoveled the trash into plastic bags, we unearthed a dozen baby rats. Each one we dispatched with a snow shovel. As we neared the bottom, a giant mother rat darted out along the wall, escaping. Later that summer, we attributed the neighborhood rat infestation to the mother rat that got away. I transitioned from six roommates to two. Our apartment had a balcony, a shared driveway, and most importantly, a washer and dryer in the basement. 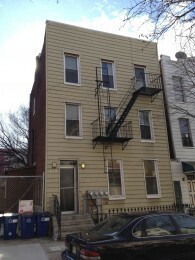 When the landlord sold the building, she moved members of her extended family into the first floor unit. They began illegally building out the unfinished basement. During this construction, they discovered that their apartment unit paid the electric and gas for the shared washer and dryer. Suddenly, the machines stopped working. They would cut off the power whenever we did our laundry. I would return to clothing sitting in a pool of cold, soapy water. Eventually I ran out of clean clothing. Only when we threatened to withhold rent did the landlord miraculously resolve the problem. A few weeks later, the city issued a stop work order for the basement construction based on an anonymous tip. I was finally living alone. Sort of. My girlfriend lived two blocks away in an apartment she shared with a stranger. Before I signed the lease, we discussed moving in together when her lease ended. Instead, she broke up with me the week I moved into the apartment. My bachelor pad lasted two weeks; the ex-girlfriend wanted to get back together. She paid rent on a bedroom around the corner for another five months, but when that sublet ended, the only thing that actually changed was that her queen-sized mattress replaced my twin. We lived on the top floor of a three-story walkup. The ceiling leaked sometimes. At one point we had a mouse infestation and I ended up killing six mice with hammer traps. But we had a coin-op washer and dryer in the basement, so what more could we want? Well, the girlfriend wanted a dog and pets were prohibited. The girlfriend found a new apartment just six bocks away. There were no leaks, no signs of mice, and it was pet friendly. Even though there was no washer and dryer, we had a puppy on the way. We paid the broker’s fee and signed a lease. On moving day, it snowed. I shoveled out the stoops of both the apartment I was leaving and the apartment I was moving to. Eighteen months later, my girlfriend moved out, taking the dogs and owing me nine thousand dollars in back rent. I filled the spare room in the apartment with a friend from college. Living there, I learned the beauty of drop off laundry service. Even though we lived on the unhip side of the Hudson River, the low rent allowed me to earn a graduate degree without accumulating any debt. My roommate and I lived there for another four years before finally moving, separately, to Brooklyn. The apartment I found had windows on three sides. Trees shaded the front and back. And somehow I signed the lease for below the listed asking price. I suspected I owed my good luck to the fact that I had given the broker the least aggravation of the prospective tenants. The building overlooked an empty lot. A year earlier, famed Neapolitan pizzeria Motorino had stood on the corner. The city newspapers dubbed it the “Leaning Tower of Pizza” because of structural issues the landlord had refused to repair. The city condemned the building leaving behind the empty lot I now overlooked. The week I moved into the apartment, I found in the building’s vestibule a copy of a lawsuit filed against my landlord. 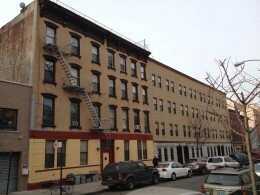 Her former rent stabilized tenants were now suing her. I learned from my upstairs neighbors that the apartment I lived in, had been, until a month earlier, the landlord’s apartment. She had moved herself into the basement. New York City has strict rules defining legally habitable spaces, and her cellar, with only a six-inch window, was clearly not. One morning, she appeared at my front door with workmen; she needed to fix a pipe in the floor running from my kitchen into the bathroom. It would take a day, maybe two, she said. I came home that afternoon to find a disconnected toilet in the middle of my kitchen and an exposed sewer pipe. Her repairs took more than a week, and required a phone call to the city before the toilet was returned to its proper position. A week before the New Year, two men presented me with copies of court documents showing they had bought the house at a foreclosure auction. I should now pay rent to them. I confirmed their papers with a lawyer. This fact didn’t stop the old landlord, two days later, from knocking on my door, demanding a rent check. I showed her a copy of the court documents instead. The new owners began negotiating the early termination of my lease. They wanted to build a larger building on the empty lot and needed to demolish the building I lived in to do so. The weekend we were finalizing the agreement, carbon monoxide from a faulty chimney almost snuffed us all out. The heat and hot water furnace were no longer functional. Since the new owners didn’t want to invest a lot of money replacing a furnace in a building they planned on knocking down, they offered even more cash if I left at the end of the month. It was the coldest week of the year and all I had was an electric space heater. The day after my apartment almost smothered me with carbon monoxide, I began searching for a new place to live. I woke that morning half frozen, and with a cash incentive, I felt motivated enough to rent the first hovel I found. I browsed internet listings. The first reasonable listing was next door to my old my roommate. My luck seemed to be turning. I agreed to meet the broker after work. When I showed up, he was with two other prospective tenants: New York City real estate is war. But I’ve prepared. I spent my day at the office putting together a portfolio: tax forms, bank statements, pay stubs, a list of past addresses, and a reference letter from my supervisor. The broker tells us he has two units in the same building. He will show us both. The underlying subtext is that the three of us will then fight to the death in a cage match to determine who gets the apartments. 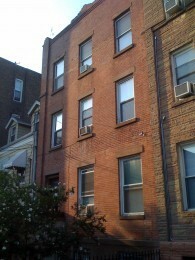 The first unit is a small one bedroom on the ground floor. The space feels cramped, but livable. I ask the vacating couple why they are leaving: nothing wrong with the building, they just want to move back to Manhattan. Then the broker drops the keywords, “and its rent stabilized.” Everyone in the room masks their excitement so as not to show their weakness. The second apartment is one floor up. A man and his small son stand there forlornly while we look around. Children’s toys are scattered across the floor. The apartment is poorly lit. But it is larger than the first unit, with big windows and an open layout. And yes, also rent stabilized. One of the women begins asking relevant questions about moving in, about the building, about the landlord. I can tell she is considering living here, picturing herself nesting. “I’ll take it! Let’s sign some paperwork!” I say. The girl’s face drooped with disappointment. I had beaten her. She made a final plaintive plea that, should I not work out as a tenant, she would like to be considered. I looked at my folder, prepared with W2s and bank statements, and knew I the apartment would be mine. I may not have a washer and dryer, but with rent stabilization, I never have to move again. Ian MacAllen is the founder of English Kills Review. He holds a Master’s Degree in English from Rutgers University and he has contributed writing to The Rumpus, Thought Catalog and io9. He lives in Brooklyn, tweets @ianmac47, and experiments on Tumblr.